Jane Austin is a published photographer and has worked with many high profile models, actresses, fashion designer's and corporations and provides a 5 star service. We consider that it is an honour and privilege to be asked to photograph your wedding and we will spend time getting to know you so that we may understand your wishes for your wedding photography and the bespoke details which will make your wedding unique! We have a creative eye for detail, together with artistic flair and a passion to make truly beautiful pictures. Photography is not just about taking a picture it is about capturing a beautiful moment in time. We have a selection of beautiful wedding packages to suit diverse tastes and requirements. We are also happy to tailor packages to make them as individual and unique as you! 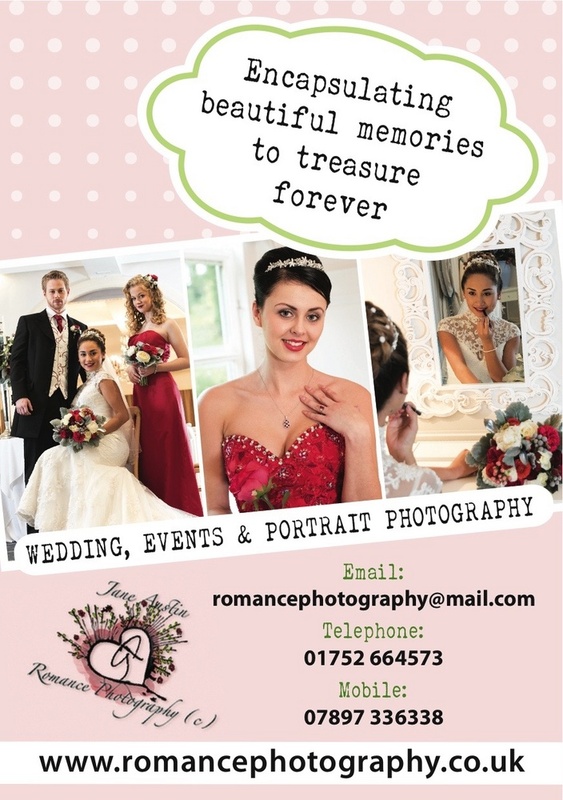 Please feel free to browse our various packages, or contact Jane Austin Romance Photography on 07897336338 for further details. We have a real passion for portraits and we will work closely with you to help you create your perfect portfolio. We have a fully mobile studio together with professional lighting equipment and a vast selection of backdrops for you to choose from. Please visit our backdrop gallery for the choices. We also specialise in children's magical memories photography where we can provide a selection of costumes and props to help bring the magic alive. We are happy to undertake photoshoots on location or in the comfort of your own home and we will bring with us our travelling treasure chest complete with props and costumes to create an enchanting memory to treasure forever. With a passion for dance and several years experience in photographing events to include ballroom, latin, salsa etc Jane Austin Romance Photography is the perfect choice for your event. We have experience in photographing charitable and large corporate events and we will capture the true essence and ambience of your event whatever the occasion may bring! For further details regarding, Portrait, Wedding or Event photography please contact Jane Austin on 07897336338.